I love being a leader. It’s something I’ve worked very hard to achieve and here’s my secret: I work even harder to maintain my position as a company’s leader. Anyone who knows me or who regularly follows this blog, knows that I passionately pursue opportunities to stretch my boundaries and become a better leader. Why am I so motivated to become a better leader? Why do I travel around the globe seeking the advice of some of the most innovative company culture mavens? I do it because I know that it isn’t about me; it’s about those I lead. There’s no shortage of materials to help you become a better leader. Each leader will have a style or author whose techniques resonate with them and that’s great. When I seek innovative and inspiring leadership development, one of my favorite places to turn to is Leadercast. 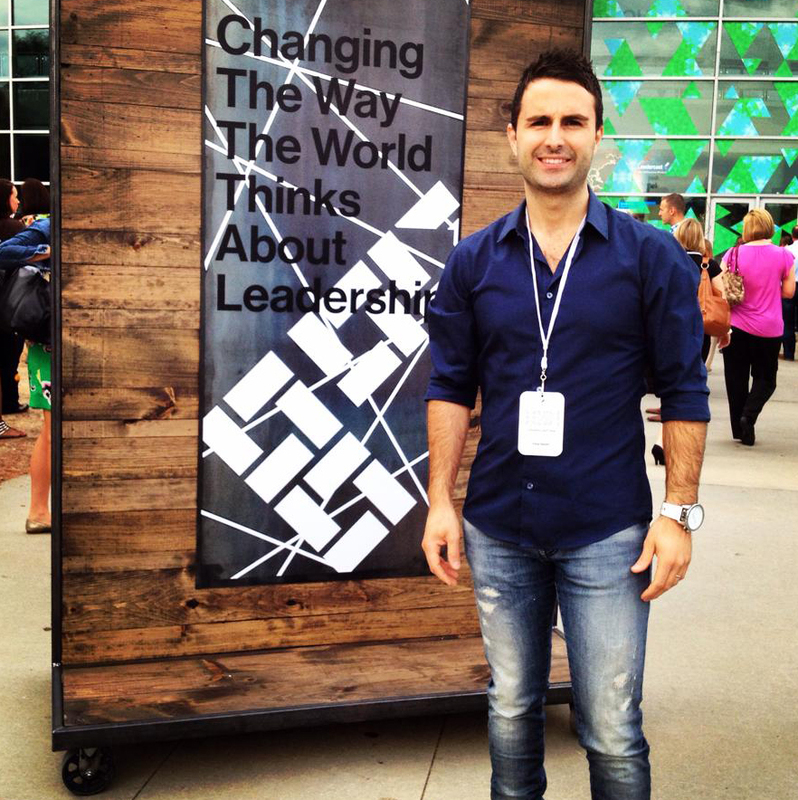 Roma Moulding CEO Tony Gareri at Leadercast Live 2014. Leadercast is an organization that helps leaders reach their potential. Recently, the group held their flagship event, Leadership Live on May 9 in Atlanta. The event was broadcasted to more than 700 locations around the world and featured incredible speakers such as Malcolm Gladwell, Archbishop Desmond Tutu and Simon Sinek among others. 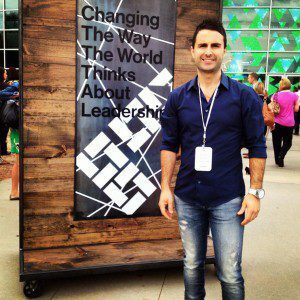 I’ve attended Leadercast Live in previous years but was really drawn to this year’s theme – Beyond You Leadership. Beyond You Leadership is when a leader fearlessly and selflessly empowers leaders around them as well as future leaders. It’s a “givers-game” mentality that has no direct benefits for yourself, only those around you. Andy Stanley is a senior pastor in Atlanta who opened this year’s Leadercast Live event. I feel he perfectly summed up Beyond You Leadership with a couple of simple yet profound words. “The value of a life is always measured by how much is given away,” he said. I have always found that the more I do for others, the more I’m able to grow. The term, “leadership” itself implies that you are guiding others; after all, you can’t have leaders without followers. You can’t do it for yourself and hope everyone follows, you have to leverage who you are as a leader and when you are finally able to make it not about you, then you will succeed. 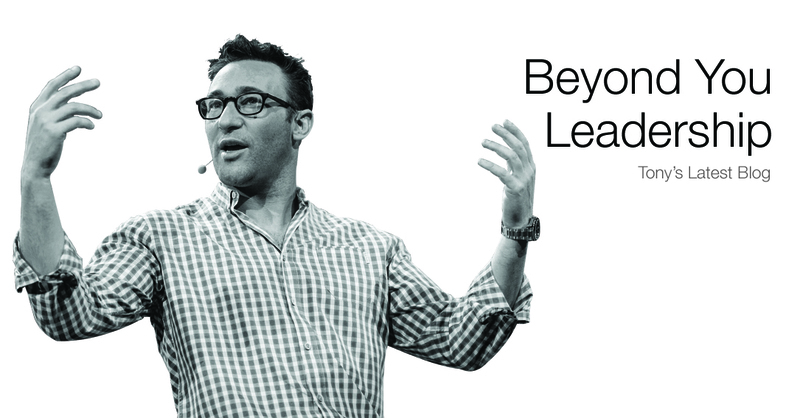 Here’s my favorite strategies recommended at Leadercast Live 2014 for becoming a Beyond You Leader. 2. Work for your team: Too often I’m asked what others can do for me. As a Beyond You Leader, you must ask what you can do to help your team. It’s not about me, it’s about us. 3. Empty Your Cup: You’re smarter than you think and you need to leverage what you know and pour everything you have into your team. Fill their cup with your knowledge! Whenever I come back from an event such as Leadercast Live I am bursting at the seams with ideas I can’t wait to try out. One exercise that I’m really excited to implement is an Open Forum Breakfast here at Roma Moulding. I envision a dedicated space where anybody and everybody can come and share ideas, speak to their leaders and team members about what they are working on and to ask for help. What will I get out the exercise? That’s the wrong question. We need to ask what will the team get out of the exercise! For me, my goal is to help our team achieve progress and hit their craziest goals! I wish more people had this mentality and not just leaders. As a society if we are able to put the needs of others ahead of our own, we’d be able to accomplish more and unite more causes. Great read! Very fine work here Tony! You are not a formula man but a hungry leader who has understood that in the magma of possibilities, the greatest lay in the perspective of serving others through the riches of your leadership authenticity. In that your are well positioned to be one of the “Stand Out Prototypes” of an emerging wave of new breed of leaders. I truly appreciate you and your company… Keep digging to better accelerate! Absolutely love the idea of an open forum breakfast! Just to add on Gordon Thain’s thought: one doesn’t need to have the title in order to lead. I strongly believe that by being Present, Listening and Infusing Energy in those around you; one can be a Stimulator and an Influencer. Tony, Keep emptying your cup through your blog!:). I know there are many of us that are involved in charitable causes and we don’t share them because of our humble nature, but once in a while it is good to share, if what we are doing can impact someone’s life in a favorable way. It is great to know that we work for a company that inspires you to think outside of the box and empowers you to make quality decisions for the betterment of the company and others. Very nice blog post Tony. It is wonderful to work with such a great team of people, and so great that you DO empower us to make our own decisions, building trust in this team effort to continue to “Move, Inspire and Wow”. “You decide” such simple but powerful words. The impact these words have on teams is truly amazing. If more leaders could trust their team and let them decide, just imagine the places they will go and grow! It is great to see these words and other leadership strategies being utilized @ Roma!! It’s very empowering to tell your people to make their own decisions. It allows them to challenge themselves further and know that their successes and failures are within their own control. It also makes them step up the bar and challenge the status quo a little more, because they have the proverbial “skin in the game”. I’m very proud to be a member of your team and am looking forward to the mutual growth that comes from learning events such as Leadercast! Keep up the great work! I love reading your blogs. This one was a wonderful reminder that it is about reaching outward, giving and supporting those around you without expecting a return but finding one anyway. I am proud every day to be part of a team that values others and is always moving in a positive direction. Tony, your enthusiasm and drive is second to none that I have ever met. Thank you for spreading your vibe with us. It’s addicting isn’t it? Thanks again for your LEADERSHIP!! 1. Make as few decisions as possible: Empower your team to make decisions, trust that they will make the best decisions for your business and guide them to become the leaders you know they are capable of being. Try saying this – “You decide!” I love this, its great to be part of a team were decisions can be made without the bureaucracy and red tape of multiple management levels. Great message Toni. I hope your enthusiasm spreads throughout our (framing & home decor) industry. The suppliers & retailers need to hear it.